2. The tradition of the Apostles and Fathers – following the words of the Lord,the founder of the Church, who at the Last Supper with his disciples, instituted the sacrament of the holy Eucharist – highlighted the Church’s characteristic as the “body of Christ” (Matt 25, 26; Mark 14.22; Luke 22.19; 1 Cor 10.16-17; 11.23-29), and always connected this with the mystery of the Incarnation of the Son and Word of God from the Holy Spirit and the Virgin Mary. In this spirit, emphasis was always placed on the indissoluble relation both between the entire mystery of the divine Economy in Christ and the mystery of the Church, and also between the mystery of the Church and the mystery of the holy Eucharist, which is continually confirmed in the sacramental life of the Church through the operation of the Holy Spirit. 4. The holiness of man (anthropos) cannot be conceived apart from the Body of Christ, “which is the Church” (cf. Eph 1.23). Holiness proceeds from the One who alone is Holy. It is participation of mankind in the holiness of God, in “the communion of the Saints,” as is proclaimed by the words of the priest during the Divine Liturgy: “The Holy Gifts for the holy,” and through the response of the faithful: “One is Holy, one is Lord, Jesus Christ, to the glory of God the Father. Amen.” In this spirit, Saint Cyril of Alexandria underscores that Christ, “Being holy by nature as God (…) is sanctified on our behalf in the Holy Spirit (…) and (Christ) performed this on our behalf, not on his own behalf, so that from him and in him, who first received this sanctification, the grace of being sanctified may thus pass to all humanity …” (Commentary on the Gospel of John, 11, PG 74, 548). 7. The Orthodox Church regards the indissoluble loving union of man and woman as a “great mystery” … of Christ and the Church (Eph 5.32) and she regards the family that springs from this, which constitutes the only guarantee for the birth and upbringing of children in accord with the plan of divine Economy, as a “little Church” (John Chrysostom,Commentary of the Letter to the Ephesians, 20, PG 62.143), giving to it the appropriate pastoral support. To young people the Church offers not simply “help” but “truth,” the truth of the new divine-human life in Christ. 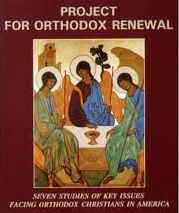 Orthodox youthshould become aware that they are bearers of the centuries-old and blessed tradition of the Orthodox Church and also the continuers of this tradition who will courageously preserve and will cultivate in a dynamic way the eternal values of Orthodoxy in order to give life-giving Christian witness. From among them will come the future ministers of the Church of Christ. The young people thus are not simply the “future” of the Church, but also the active expression of her God-loving and human-loving life in the present. 16. The Church does not involve herself with politics in the narrow sense of the term. Her witness, however, is essentially political insofar as it expresses concern for man and his spiritual freedom. The voice of the Church was always distinct and will ever remain a beneficial intervention for the sake of humanity. The local Orthodox Churches are today called to promote a new constructive synergy with the secular state and its rule of law within the new framework of international relations, in accordance with the biblical saying: “Render to Caesar the things that are Caesar’s and to God the things that are God’s” (cf. Matt 22.21). This synergy must, however, preserve the specific identity of both Church and state and ensure their earnest cooperation in order to preserve man’s unique dignity and the human rights which flow therefrom, and in order to assure social justice. 20. The Church manifests sensitivity towards those who have severed themselves from communion with her and is concerned for those who do not understand her voice. Conscious that she constitutes the living presence of Christ in the world, the Church translates the divine economy into concrete actions using all means at her disposal to give a trustworthy witness to the truth, in the precision of the apostolic faith. 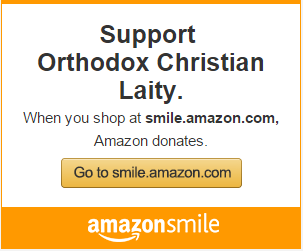 In this spirit of recognition of the need for witness and offering, the Orthodox Church has always attached great importance to dialogue, and especially to that with non-Orthodox Christians. Through this dialogue, the rest of the Christian world is now more familiar with Orthodoxy and the authenticity of its tradition. It also knows that the Orthodox Church has never accepted theological minimalism or permitted its dogmatic tradition and evangelical ethos to be called into question. Inter-Christian dialogues have provided Orthodoxy with the opportunity to display her respect for the teaching of the Fathers and to bear a trustworthy witness to the genuine tradition of the one, holy, catholic and apostolic Church. The multilateral dialogues undertaken by the Orthodox Church have never signified, and do not signify, nor will they ever signify, any compromise in matters of faith. These dialogues are a witness to Orthodoxy, grounded on the Gospel message “come and see” (John 1.46), see, namely, that “God is love” (1 John 4.8). In this spirit, the Orthodox Church throughout the world, being the revelation of the Kingdom of God in Christ, experiences the entire mystery of the divine Economy in her sacramental life, with the holy Eucharist at its center, in which she offers to us not nourishment that is perishable and corruptible, but the very life-streaming Body of the Lord, the “heavenly Bread” which “is a medicine of immortality, an antidote for not dying but living in God through Jesus Christ, and a purgative expelling evil” (Ignatius of Antioch,Letter to the Ephesians, 20, PG 5.756). The holy Eucharist constitutes the innermost core also of the conciliar functioning of the ecclesial body, as well as the authentic confirmation of the Orthodoxy of the faith of the Church, as Saint Irenaeus of Lyon proclaims: “Our teaching is in accord with the Eucharist and the Eucharist confirms our teaching” (Against Heresies, 4. 18, PG 7.1028).